Late in September, still plenty around this year. This is a simple recipe, you can spice it up with star anise, cinnamon, use apples/oranges etc. 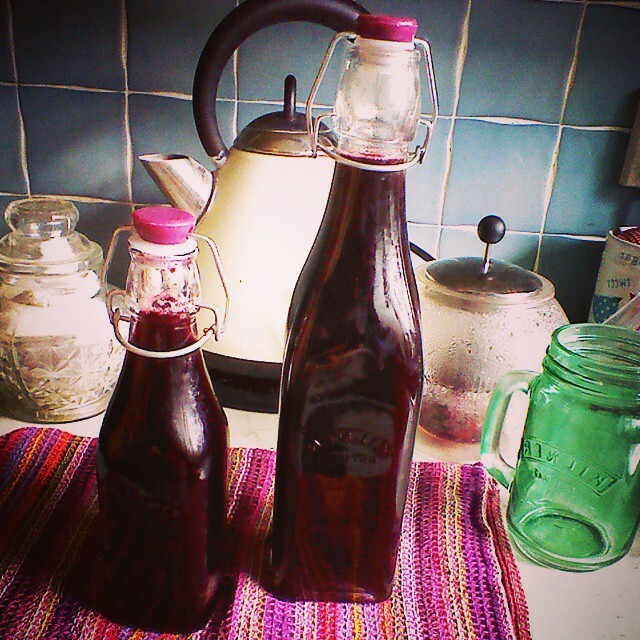 I just made plain simple blackberry cordial which I can add things too later for cooking with (a reduced sauce on game, or in desserts, a spicy liqeuer for cocktails etc) or just add water to for drinking. It also goes very nicely with bourbon btw! 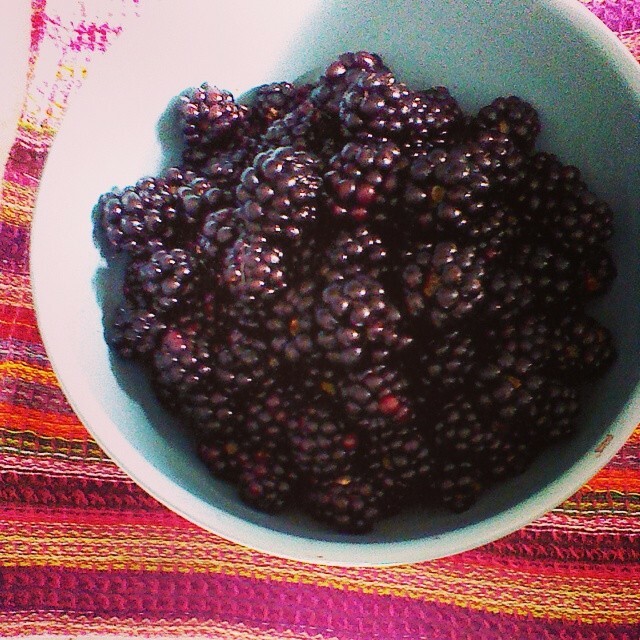 I soaked the blackberries in the sink very quickly and gave them a rinse, picking off stalks/leaves and debris. Add them to the pan with the water and boil for around 10 mins. strain the fruit through a (clean) piece of muslin or tea towel over a bowl or saucepan (no need to leave overnight). Add the sugar to your juice stir ’til dissolved on a lower heat and then bring to the boil. 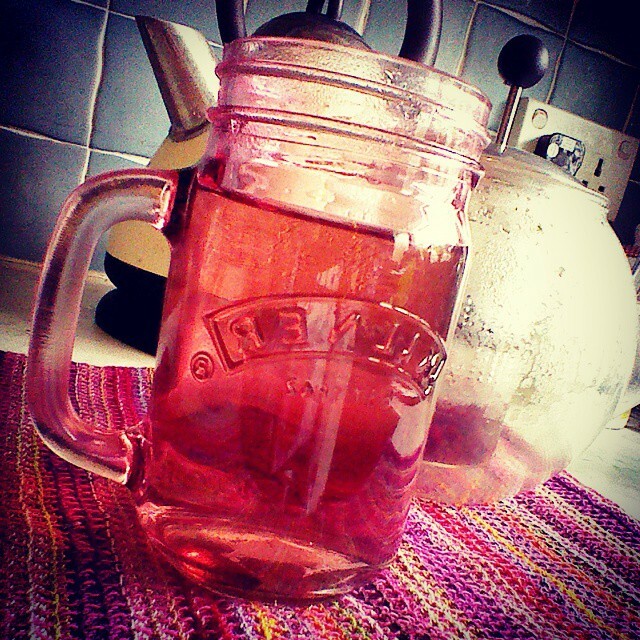 pour into sterilised jars or bottles. -keeps for around 3 months. You’re wondering why strain then leave again aren’t you? becasue you’re paying attention. 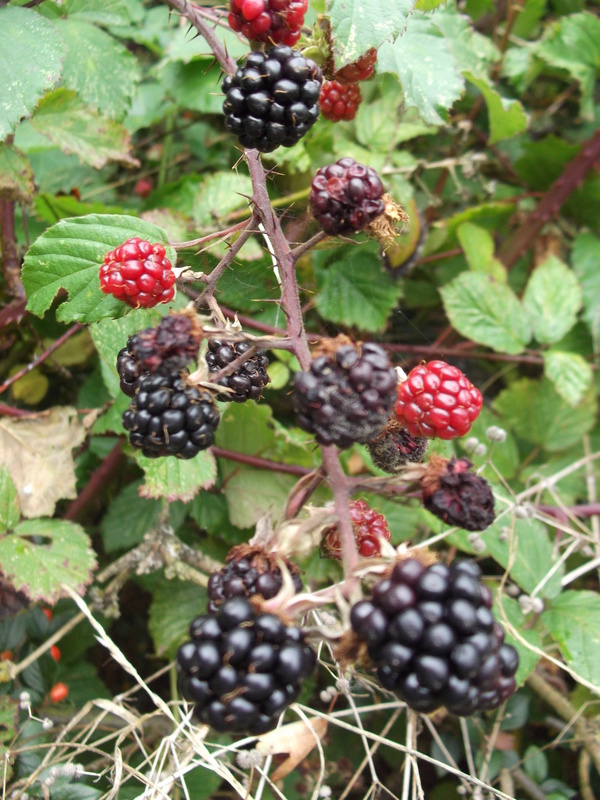 Well blackberries, unlike other berries, have a little woody core in the middle (raspberries stay on the stems as you pick) and it tastes better if you take that out. Preheat oven to 180 C / Gas 4. 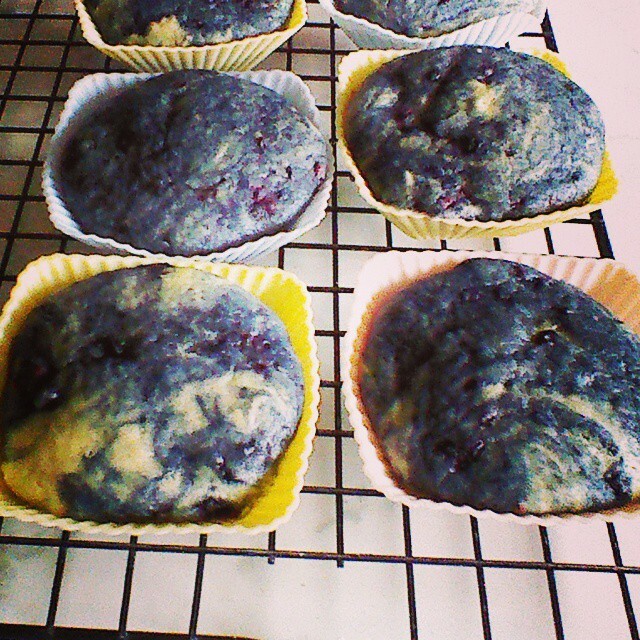 Grease a 12-hole muffin tin and line with muffin cases. In a large mixing bowl, beat together the butter and sugar until light and fluffy. Beat in the eggs, one at a time until well blended then beat in the milk and vanilla extract. In a bowl sift together the flour and baking powder then mix and add to the muffin mixture. Add the blackberries and stir through, ensuring that they are evenly distributed. Divide the mixture between the muffin cases and fill to 2/3 full. Bake in the preheated oven for 25 to 30 minutes until risen and firm to the touch. Remove from the oven and allow to cool before serving. 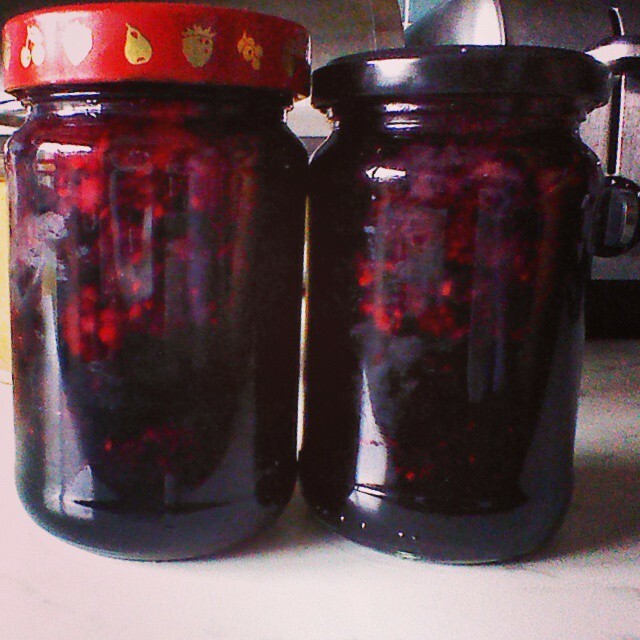 I softened up the berries and swirled them in. 5. 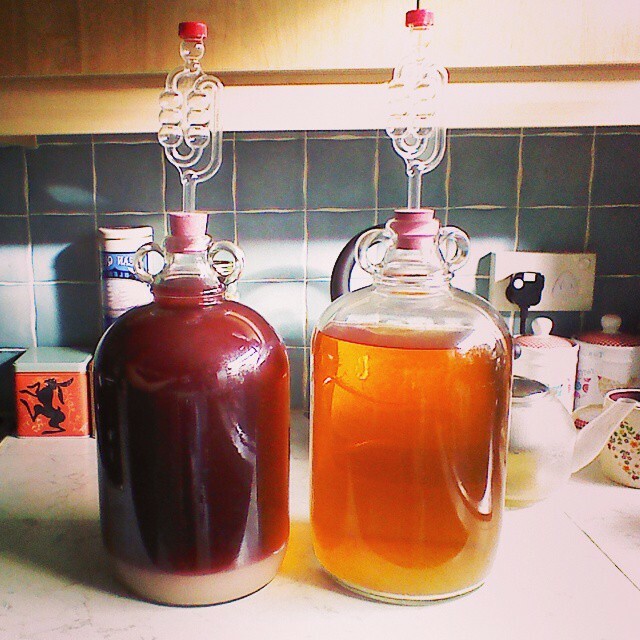 Wine (makes 6 bottles) Courtesy of River Cottage. 2. 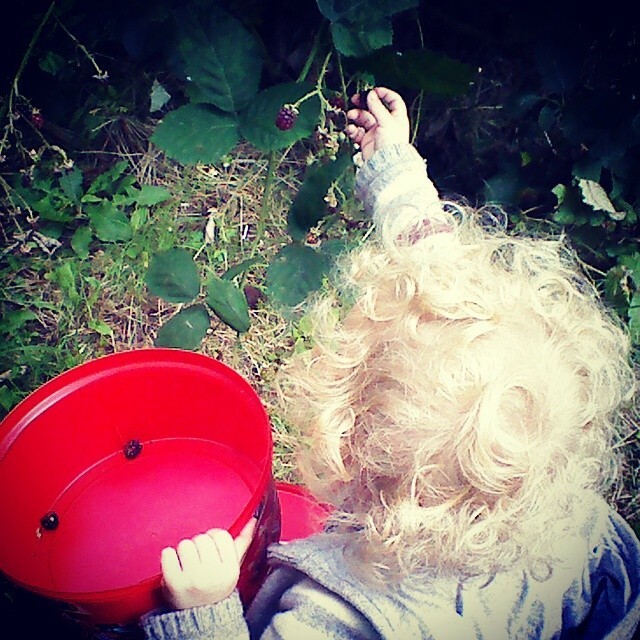 Wash well, being careful to remove any small maggots that can be found in blackberries. 3. Place the fruit in a polythene bucket and crush it with a potato masher. 4. Pour over a gallon of boiling water. Stir well, allow to become lukewarm (about 21 c) then add the pectic enzyme according to instructions on the pack. 5. Leave for 24 hours, then add the port wine yeast and yeast nutrient (1 teaspoon of each) Cover closely and leave for four days, stirring daily. 6. 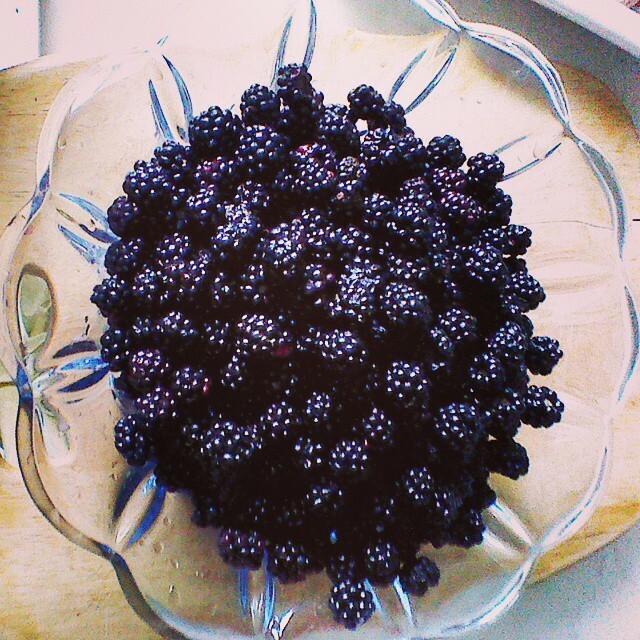 Strain the blackberry liquor through muslin or a nylon sieve, onto 2 lbs of caster sugar. 7. 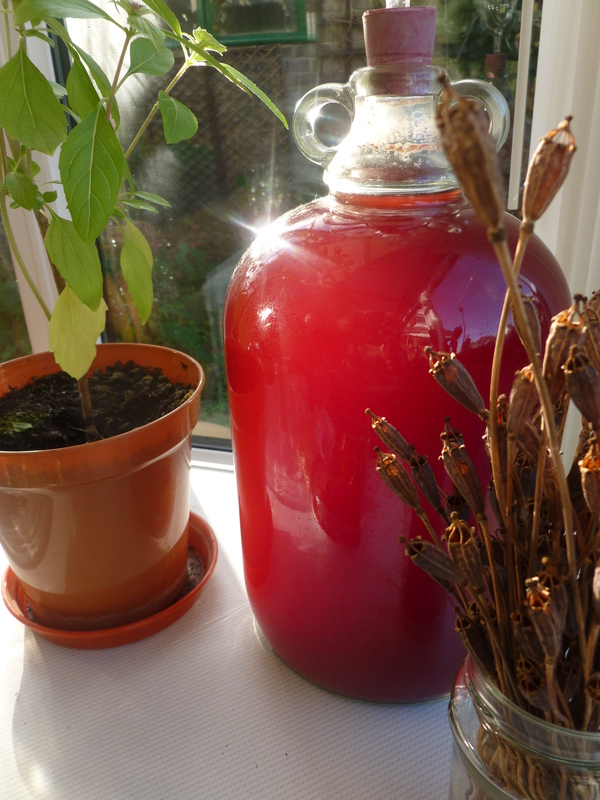 Pour into a demijohn, filling it to the shoulder and fit an airlock. 8. Keep the spare liquor in a bottle, fitted with a trap of moist cotton wool. 9. 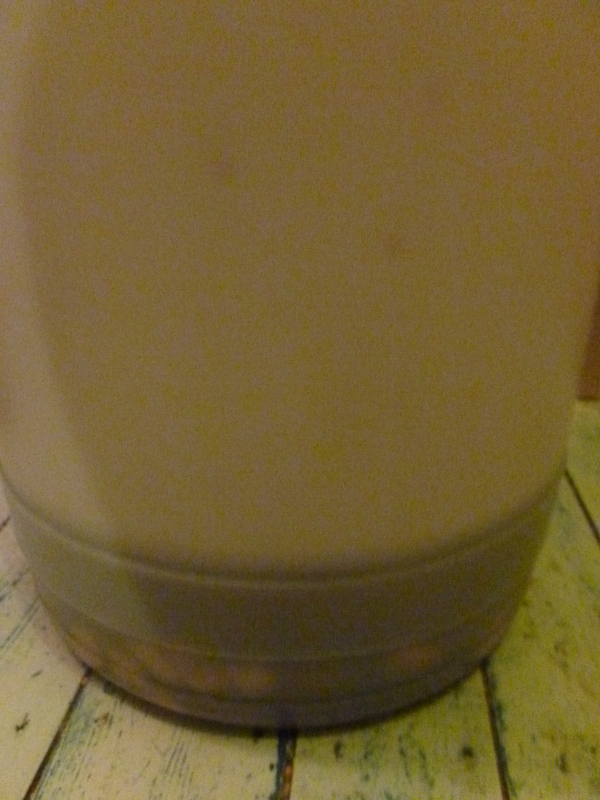 When the wine in the demijohn has stopped fermenting vigorously, (after about a week) top it up to the base of the neck with the spare liquor and refit the airlock. 11. 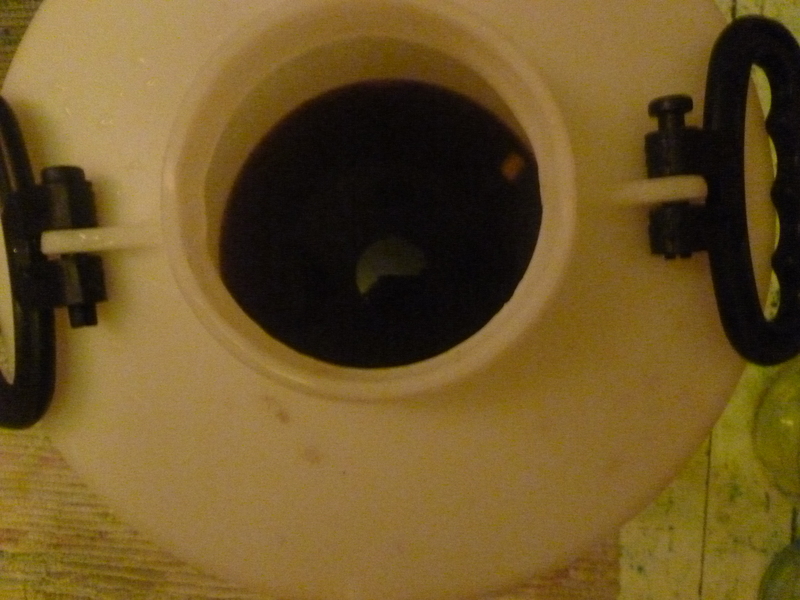 This wine should clear naturally. 12. Bottle in dark green wine bottles, and cork. 13. This wine will improve if left for 6 months, but can be drunk after a week in the bottle if you can’t wait!